Legendary L.A. rockers THE BLASTERS have announced a string of European dates, including their first London show in 14 years. 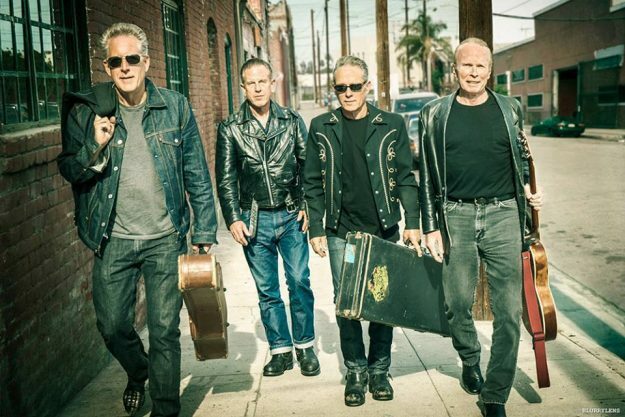 Trading in their own brand of ‘American Music’, combining rockabilly, rock’n’roll, rhythm’n’blues and punk, the band first formed by guitar-playing brothers Phil and Dave Alvin in 1978, emerging out of the same cross-cultural L.A. punk scene that nurtured the likes of THE GUN CLUB, LOS LOBOS, X, BLACK FLAG and THE GO-GOS. Signing to noted punk label Slash Records, they later impacted on rootsier end of the mid-80s Paisley Underground movement. The current line-up features Phil Alvin and fellow founder-members John Bazz and Bill Bateman, plus lead guitarist Keith Wyatt. The Blasters play the following shows…. Tickets for the London show are available here. Check out ‘Long White Cadillac’ from 1985. ‹ SET THE CONTROLS FOR KOZFEST!